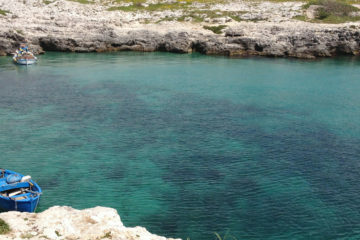 Located on the “heel” of the boot, Apulia or Puglia is a delightful surprise with unique scenery, over the centuries it was invaded by Greeks, Arabs, Normans, Swedes, Aragonesi , and Saraceni, all of whom left their mark on the land. 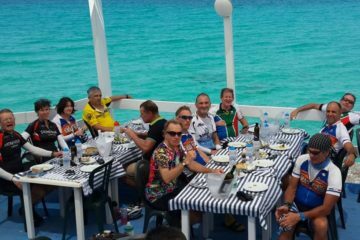 Summers can be very hot and crowded in Apulia, so the best times for cycling are in April or May, when temperatures are perfect and the entire region is in full bloom, or September through early October, during la vendemmia grape harvest. Cyclists will love the tiny roads that sometimes seem like bike paths. The only problem is that many of these roads are not on maps so it can be a bit of a maze; cyclists should bring a compass and be ready to explore. Luckily, the outgoing and friendly Pugliese people will always point you in the right direction! There is one other attraction that you will see only in Apulia, and that is i trulli. 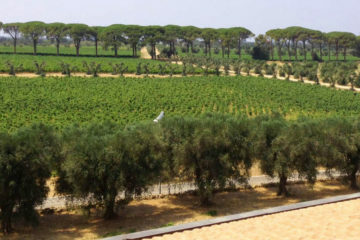 Whitewashed cones made of stones held together without mortar, they are visible in almost every wheat field and olive grove, where they serve as miniature barns. But they are at their most picturesque when clustered together in the hundreds, to form a town. 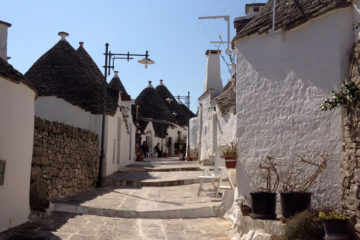 This is Alberobello, and it's a wonderful site you will never forget. Not-to-be-missed by bike: Ostuni, a charming hamlet whose whitewashed arches and houses are neatly piled like sugar cubes on hills rich in olive groves and vineyards, Locorotondo stunning circular village known for its excellent white wine and the Greek ruins of Egnazia along the adriatic sea, the beautiful baroque cathedral city of Lecce. Southern Italy food is a varied as the landscape, each region having its own specialities. While pasta, for example, is eaten throughout Italy, nothing matches the handmade Orecchiette. Across the south, the dishes are enlivened with seafood, fava beans and chicory, fruity green olive oil and dry white wine and together with fresh green vegetables and huge, bursting tomatoes, account for one of the most enviably healthy diets in Europe!! Some of the best olives come from Puglia, Green and black may be served in piquant and garlic. Some of the finest olive oil in Italy come from South. The words extra vergine refer to the pure unblended oil from the first pressing of the olives A variation is chili oil olio santo soaked with red chili peppers, resulting in a rich spicy oil with a red hue. Cheese exists in almost infinite varieties: creamy mozzarella di bufala, made with buffalo milk is delicious eaten on its own. Scamorza, a similar spun cheese, is exceptional, it is also smoked.